When can you expect your road to be plowed? One of the worst times to commute to work is just after (or during) a winter storm. Getting the roads cleared is a high priority, but with 6,290 kilometres of roads (by the way, it's just 5,858km to drive from Victoria, BC to Halifax, NS - a 58 hour trip if you don't stop! ), 2,095 kilometres of sidewalks, 225km of Transitway and the 174 to clear in Ottawa, the City has a huge job keeping the roads cleared and safe for drivers. There's a lot of work and logistics that go into the wintertime road maintenance and there are a few things that residents can do to make the job of clearing Ottawa roads even easier. 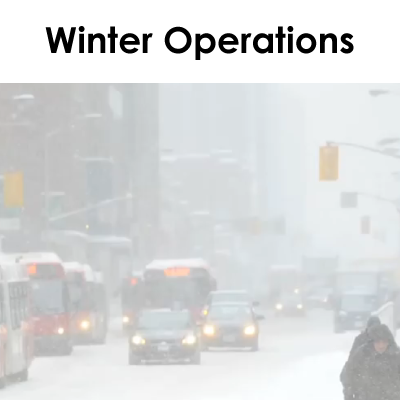 The video below will give you a short overview of how our Winter Operations team prepares for and implements snow removal for the approximate 235 centimeters (that's 92.5 inches!) of snow that Ottawa gets each year. The following chart from the video gives an overview of when snow removal resources are deployed. The first column shows the minimum depth of snow for resources to be deployed. The second column describes the parts of Ottawa's infrastructure that resources are deployed for. The third column outlines the standards that are followed for number of hours after snow accumulation ends that residents should see resources deployed. As you heard in the video, overnight parking restrictions are put in effect between November 15 to April 1 each winter in the City of Ottawa. Restrictions are put in effect whenever the forecast calls for 7cm or more of snow accumulation. Residents are not permitted to park on the street if an overnight parking restriction is in place. By-law can ticket (and, in some cases, tow) cars that are left on the street when a parking ban is in place. The purpose of the overnight parking restrictions is to allow plows easy, unimpeded access to all streets. If too many cars are parked on a street, the plows won't be able to get through for clearing. Want to know when the overnight parking restrictions are in place? Stay up-to-date about parking restriction by visiting ottawa.ca/winterparking to sign up for updates. Do you have concerns about snow removal? If you have any concerns about snow removal in your area, be sure to call 3-1-1 (613-580-2400) or make a request for Roads Maintenance through the ServiceOttawa portal.